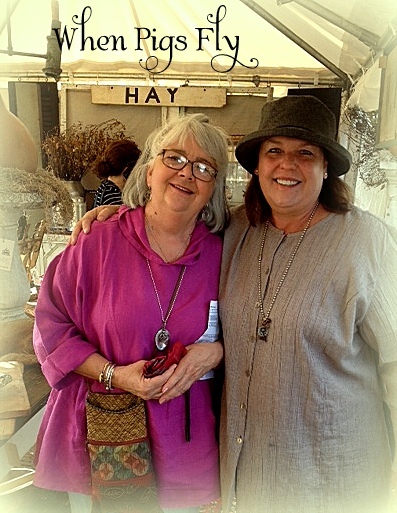 I have been home 10 days since attending and being part of The City Farmhouse Pop Up Show in Franklin, Tennessee. I needed the 10 days to “come back to earth” and settle in after what was one of the best experiences of my life. I needed the 10 days to think about what I wanted to write when trying to explain the magical experience that I had just witnessed, the personal and professional revelations that had taken place and the sheer and utter gratefulness that I feel for having been a part of it. That may sound a little dramatic for some of you…I mean we are just talking about a really good show right? David and Kim Leggett are amazing. Kim is a visionary, a relentless hard worker, a perfectionist, a doer, a go getter, a “make it happen” kind of girl. Her husband David is the kindest, calmest, “we will figure it out” kind of man that I have ever met. This couple went “ALL IN” and put on this show. They are risk takers with lots of faith and it paid off. They are courageous and brave…and that is why they are successful. That is why they produced the best show of the season. Kim looked at an open field on the grounds of an abandoned mansion and said, “Let’s put on a Pop Up show here.”. Just open land that had over the years been fertile ground for crops, then fertile ground for fancy music industry types and now fertile ground for the best designers in the nation to grow their business, nurture their relationships and to share their talent with the world. Kim saw it and she did it. 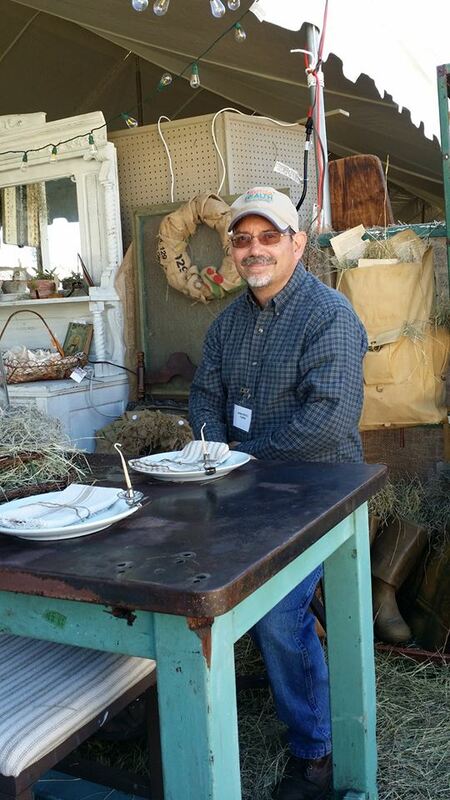 Kim and David produced the spectacular 2014 City Farmhouse Pop Up Show, and I was blessed to be part of it. I was nervous. 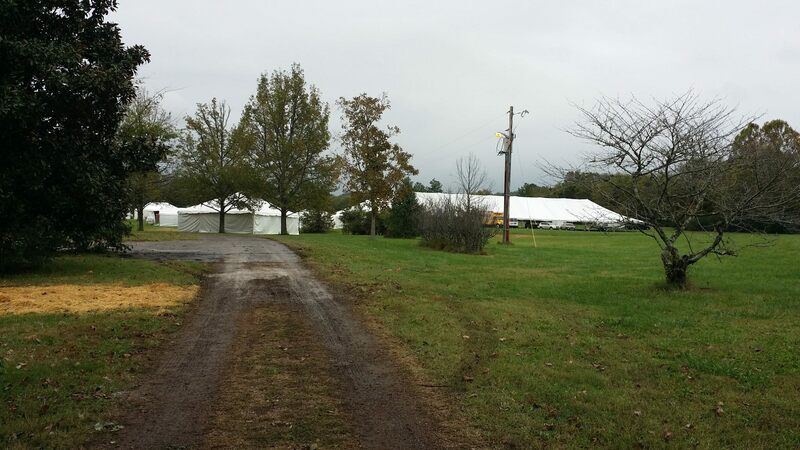 When I realized that my booth was going to be placed at the entrance to the main tent I could hardly breath…when I found out that Rex and Shelley Price of Sweet Pea Home and Judy Hill were going to be at the entrance to the tent too, I nearly fainted. “I’m not worthy” echoed through my mind over and over again. These girls were the “big guns”, they do the whole Round Top, Texas Marburger Farms thing…how on earth can I make my booth look good enough to be by them??? My stomach ached. I felt like I was going to be the littlest fish in a very big pond. But I survived, I drove my sweet husband crazy, but I survived. I am proud of the booth we built and the displays we made…it worked. My sweet and very patient husband Britt. This show was filled with some of the most talented designers and decorators, most of them so nice and humble, some of them a little full of themselves…and they deserved to be! The booth displays and merchandise shown was some of the best I have ever seen, and all of it in one place at one show…unbelievable. For the first time in a long time though, I felt part of it, as if we were all connected, all in this together. I felt like a member of the club, not someone peering in. I realized that I had made real friends in this business, I realized how much fun we could have and I met kind, good natured people who I now can call my friends. The shoppers came, the rich, the not so rich, the famous, the not so famous and the ones who think they are famous. The girls from Texas and California…from all over the country. Kim Leggett built it and yes they did come. The show opened at 9:00 am for early shopping…by 9:06 all of my big pieces had SOLD stickers. Yes, in 6 minutes the backbone of my booth was gone, sold, outta here! Thankful as I was, what were we going to do for the rest of the show? Well, what we did was sell, sell, sell. The best show we have ever had…there was such a diverse crowd that there was something for everyone, so no matter what was put out, it went. 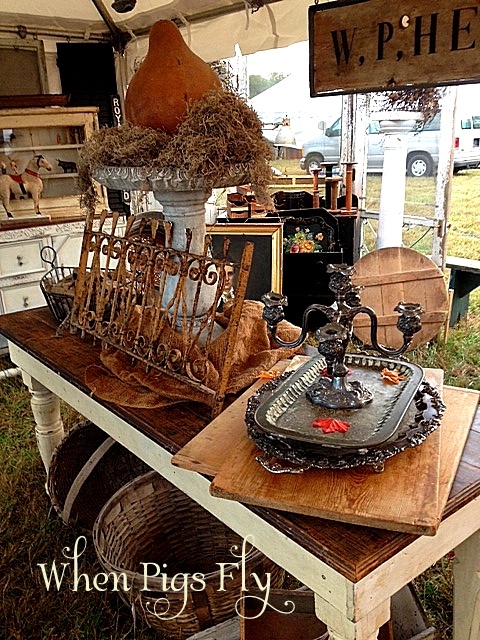 Ironstone, silver plate , industrial, primitive, painted, unpainted, beachy, country, shabby, wire, architectural, seasonal…all of it there, all of it selling. Thankful, grateful, blessed. The first dream of mine to come true out in this field. This field of dreams. Where can you go and see the best designers and decorators, spend time with true friends, meet the professionals that you have admired for years, visit quaint towns and eat at the BEST restaurants all in a few days? 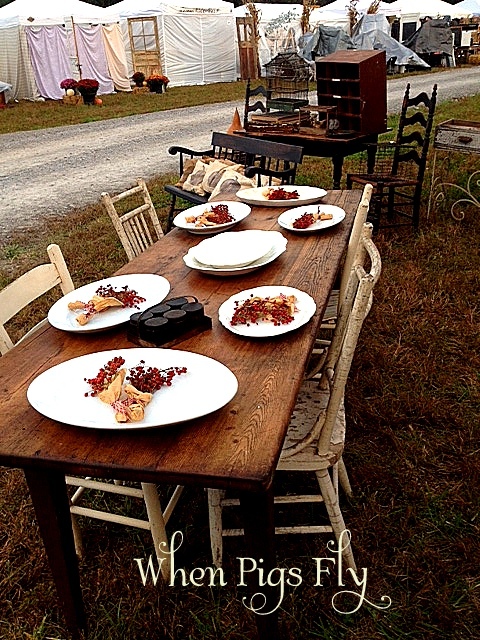 The City Farmhouse Pop Up Show 2014. It was all of that and more. One of the highlights of the weekend was being able to meet the incomparable Matthew Mead, Holiday with Matthew Mead , I have followed, been inspired by, admired and “ooohed and ahhhhed” over his work in excess of twenty years. Matthew is a talented, friendly, warm and humble man that I was thrilled to meet. He gave a speech at a luncheon I attended while at the show that was so heartfelt, so thoughtfully written, that it moved many of the listeners to tears. Nice guy, amazingly talented with a continuing bright future. Thank you Matthew Mead for being so downright cool. Ahhhh but wait, there’s more…Nina Hartmann, Vintage By Nina, is one of the nicest people I have ever met. Warm, friendly, encouraging, humble, giving…there are not enough words. 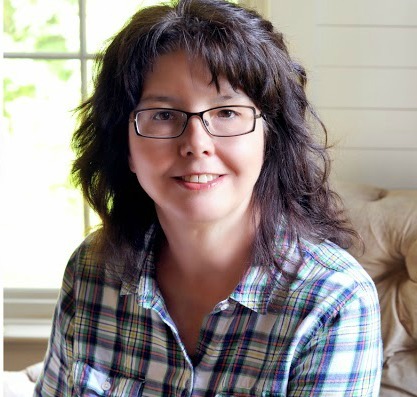 Nina’s books, she has written four, are beautiful works of art that inspire and entertain all that look upon them. 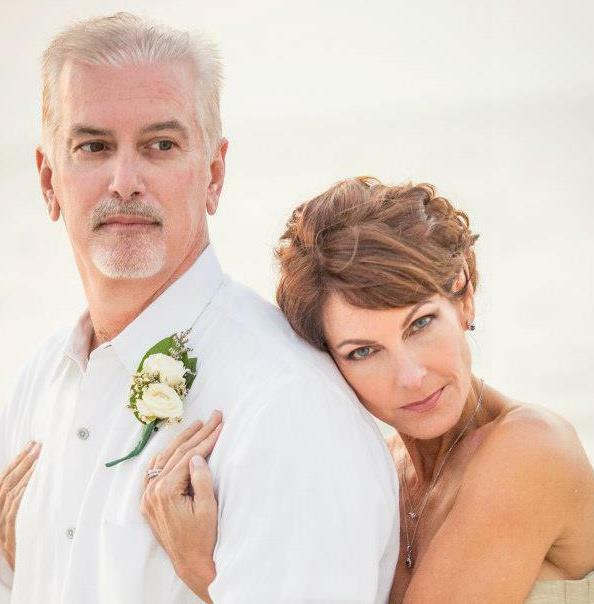 Nina’s husband Tore Sundgren is an amazingly talented photographer with a BIG BIG heart. He spent nearly an hour with me sharing his knowledge on photography and provided me with many resources to help me on my book publishing journey. A true pleasure meeting them both…I feel lucky to have had the experience. Dreams coming true. Speaking of the luncheon, I was so thrilled to be a guest at this private “meet & greet” event and to be able to share my book, “Comfort & Joy” with the attendees. Nina , Matthew and myself along with members of the press and 50 ticket holders enjoyed a fabulous lunch catered by Scrumptious Catering Company. 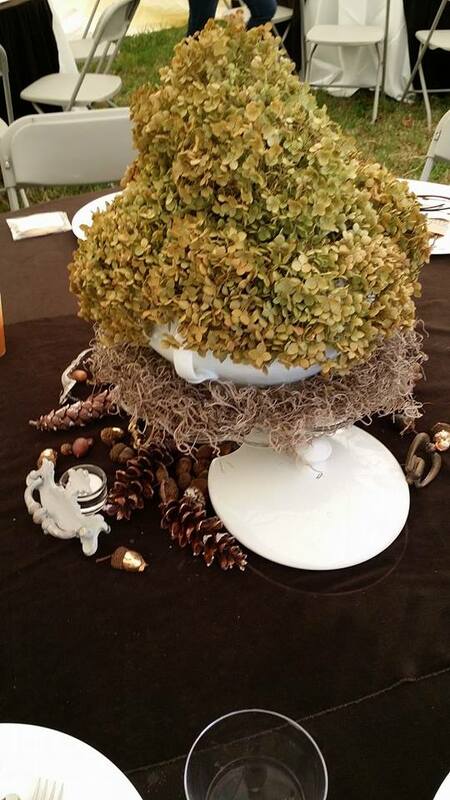 The tables were decorated by the very talented Mary Runger and the luncheon was hosted by my sweet friend Ruth Barnes. We enjoyed the sounds of the harp being beautifully played by the talented Kristen Agresta. The event was caught on film by celebrity photographer Jake Netter. I had the pleasure of meeting Laura Boulay of the popular social blog I am Friday. Guests at my table including Andy & Jan Marshall, restaurant owners of Gray’s and Puckett’s both located in Franklin. 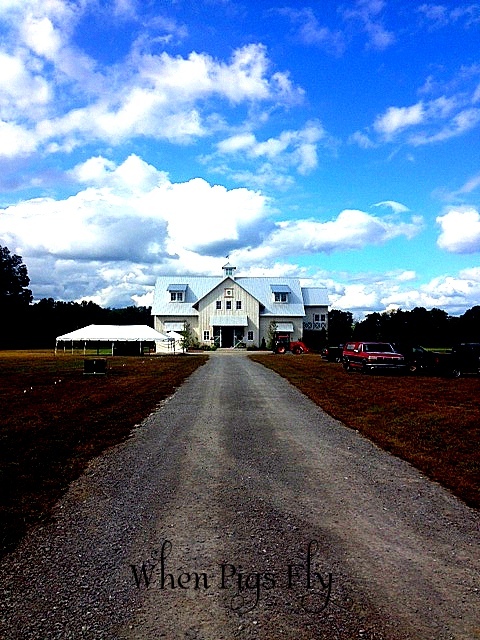 They also have a new venture, Homestead Manor , a current project in which Kim Leggett is the lead designer. I cannot wait for that reveal! Andy and Jan were very nice, down to earth and a pleasure to meet. To top off this unbelievable weekend, I have been offered an amazing opportunity that I am so excited about I can hardly stand it!! After consulting over the past year on their Nashville home, Jeff and Sherrie Harris have asked me to work with them on the interior of their Kentucky estate that is currently in the planning stages and scheduled to begin construction in Spring, 2015. Sherrie has impeccable style and taste on her own and doesn’t need my input, but all the same I am thankful, humbled and thrilled to be part of their project. Thank you Jeff and Sherrie. 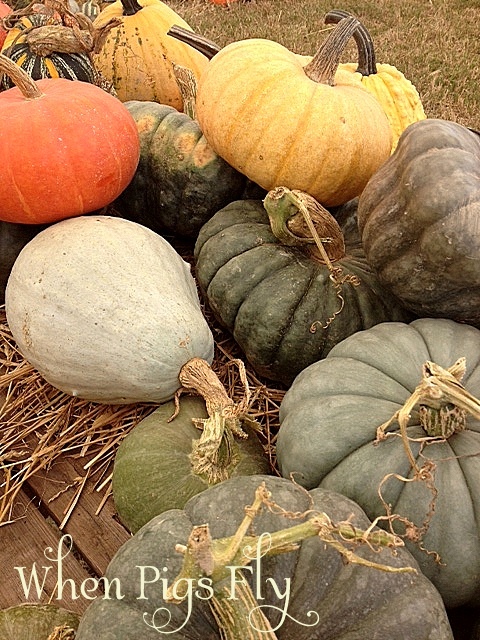 So you see why I titled this post, “A Field of Dreams”. David and Kim Leggett built it and they did come. It was a field of dreams come true for me and I am sure many others who attended. Thank you David & Kim and the entire City Farmhouse team. PS: I can’t wait till next year. Posted in road trips, Shows and tagged City Farmhouse, Franklin, Gray's, Kim Leggett, Matthew Mead, Nina Hartmann, Puckett's. Bookmark the permalink. City Farmhouse Show coming soon! I can’t wait to be part of the City Farmhouse Pop Up show again! I will be there signing my book, “Comfort & Joy”. So excited to meet & see Nina Hartmann of Vintage by Nina and the AMAZING Matthew Mead…I have been following him for years! Hope you are planning on attending, it is going to be the SHOW OF THE YEAR!!! 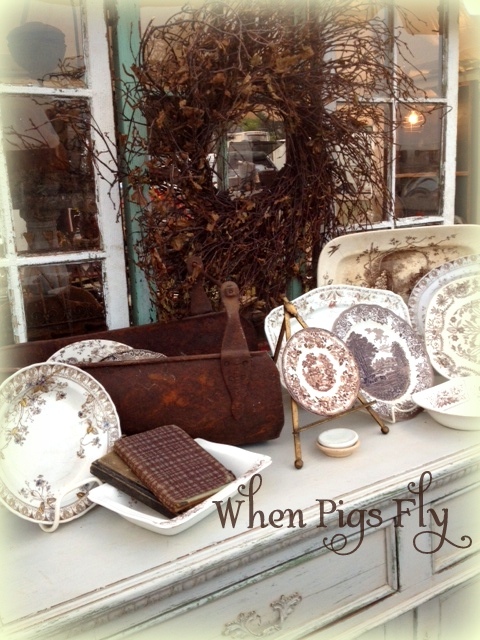 Posted in Uncategorized and tagged City Farmhouse, Franklin, Matthew Mead, Pop Up Show, Vintage by Nina. Bookmark the permalink. 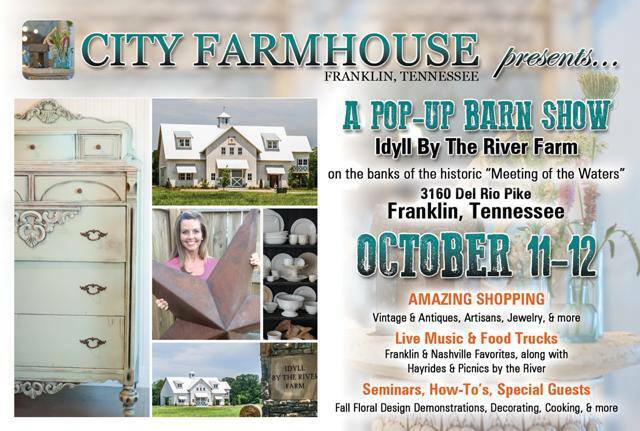 City Farmhouse Pop Up Barn Show…Oh Yeahhhhhhh!!! This picture says it all…perfect venue, perfect weather, perfect people! What a wonderful weekend we had participating in the City Farmhouse Pop-Up Barn Show in the glorious little town of Franklin, Tennessee! I was so happy to have the opportunity to meet Jan who came all the way from Missouri to take in this fabulous show! Jan has been a long time facebook follower of When Pigs Fly and it was such a pleasure to meet her face to face. 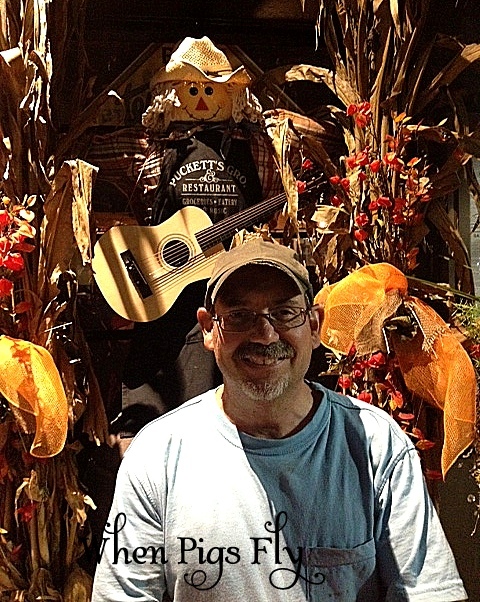 Jan writes a wonderful blog…go check it out HERE. 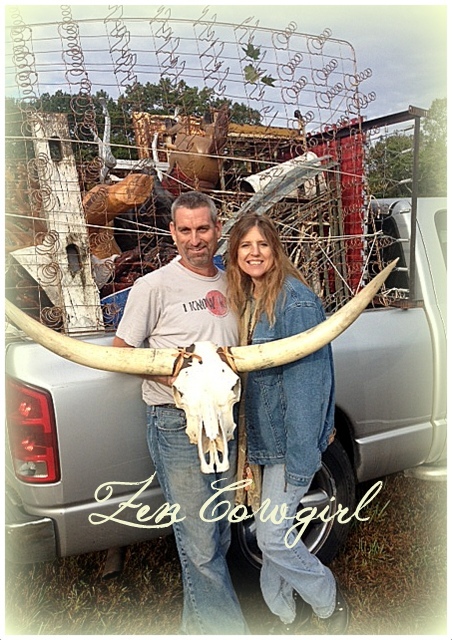 My very good friends, Patty & Tim of Zen Cowgirl did an awesome job with their tent…loaded with funky junk! 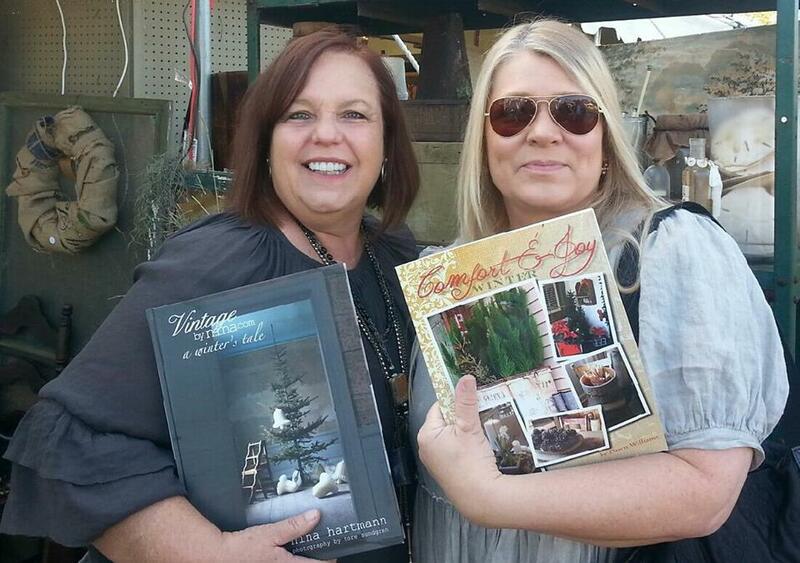 Patty’s Bohemian Gypsy style shined through and so many buyers took home awesome treasures from her booth! 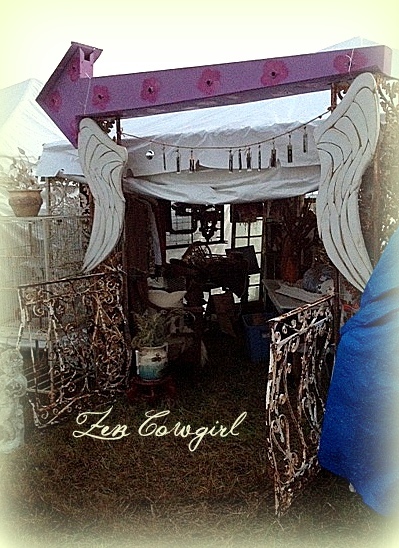 Check out the entrance to her booth, love those angel wings! Even this old gal had fun at the farmhouse show! The columns next to her were a big hit! We had four, and all of them went to new happy homes! 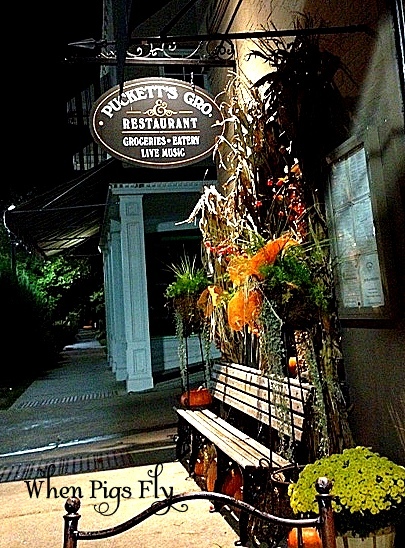 My sweet husband worked so hard and put up with me, he deserved a trip to our favorite restaurant when we visit Franklin…Puckett’s! 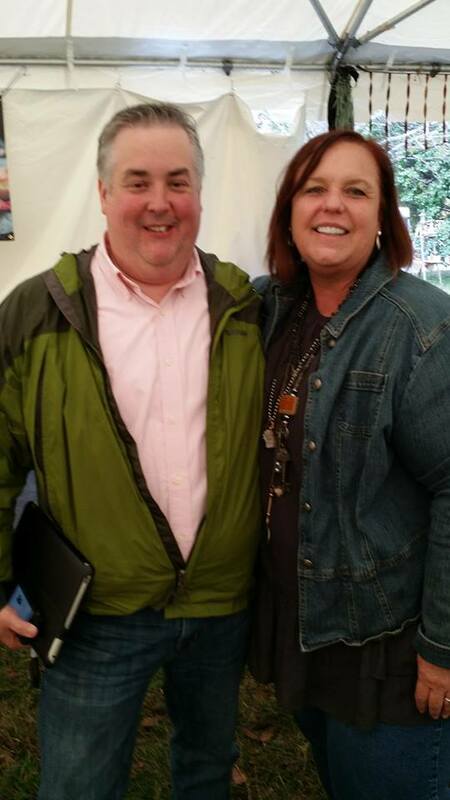 It really was a great show, Kim & David of City Farmhouse did an amazing job! Thank you to them and all of their staff for going ABOVE & BEYOND!! It was great to see and spend some time with fellow friends and dealers, Lynda Hughes and Robin, my sweet friend Beth from Olde Tyme Marketplace and so many others! Plan on going to this show next year!! Don’t miss it! 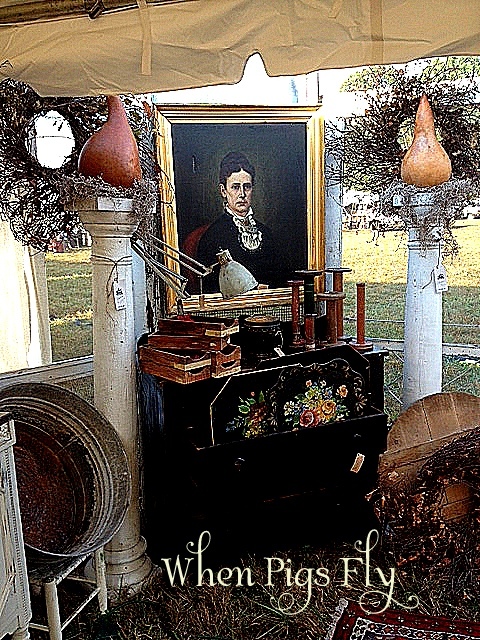 Posted in Shows and tagged Antiques, City Farmhouse, Franklin, Show. Bookmark the permalink. Some of Beth’s amazing offerings for this show…such a talented stylist! I was busy setting up yesterday for Renninger’s Fall in the Field Show in Mount Dora this weekend when Toni, the show’s coordinator said that she had someone I needed to meet. I walked down to the end of the pavilion and met one of the nicest dealers I have encountered in a long time, Beth , from Olde Tyme Marketplace in North Carolina. What a sweetheart! 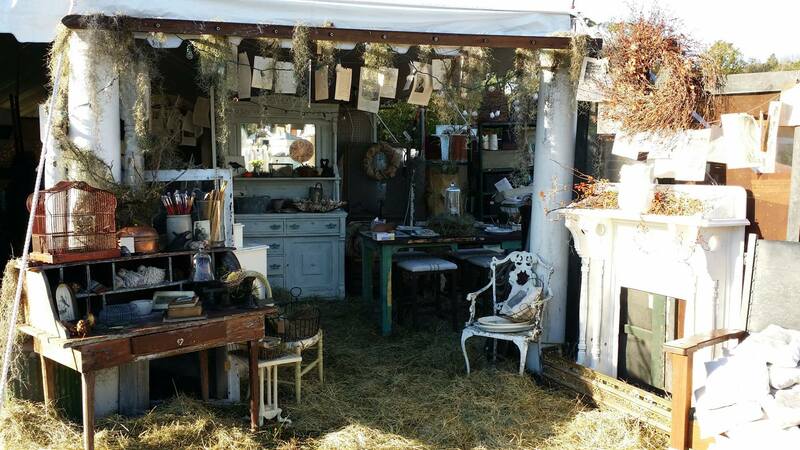 Her booth is loaded with chippy white, crusty rusty, galvanized, wire, old bottles and VERY cool burlap and fabric creations. As we were chatting we realized we were both going to be at The City Farmhouse Pop-Up Barn Show next week! Wait…what? A cool new friend and someone to vent talk to about the upcoming show of my lifetime!! Imagine the luck! I have been nerving out, worrying, and having anxiety attacks over this show…so nice to share with another dealer and a super friendly, nice dealer to boot! Don’t miss the Olde Tyme Marketplace booth at the show, under the big tent, Booth #10 and visit me, When Pigs Fly in the outside tents, #43! Needless to say, I am a happy gal and looking forward to a great Fall in the Field show this weekend and spending time with a really nice person and new friend. Beth is good friends with another dealer who will just happen to be my neighbor at the show, Savvy City Farmer ! Woot! Woot! I can’t wait to meet Joy in person! 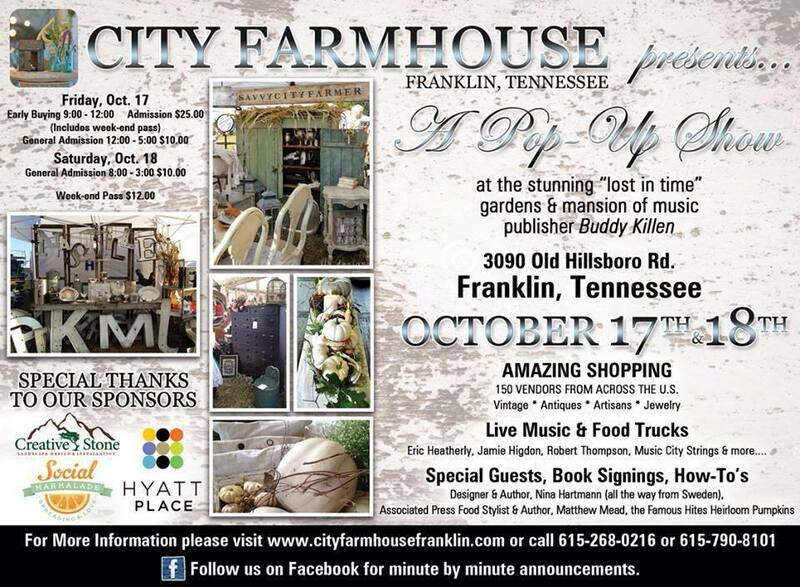 Everyone is so excited about next weeks City Farmhouse Show in Franklin ,Tennessee. Some of the VERY best dealers in the nation will be exhibiting and offering incredible antiques and the most delightful decor of the season! So torn….I want to sell but I really want to SHOP!!!! 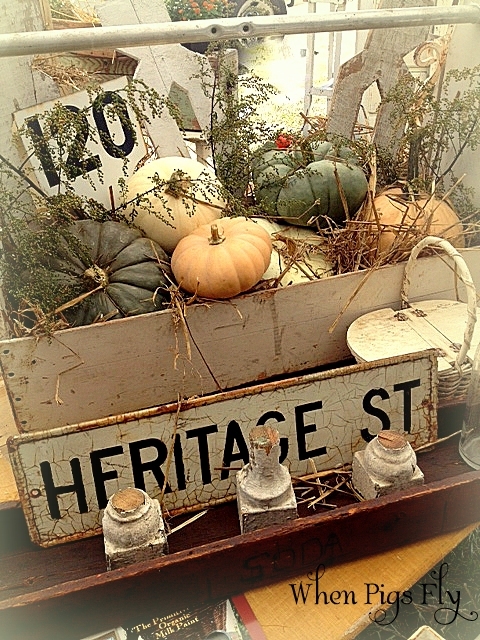 Posted in Shows and tagged City Farmhouse, Fall, Olde Tyme Marketplace, Renningers, Savvy City Farmer, Show. Bookmark the permalink.